Reishi mushrooms have been used to treat countless ailments in the Far East for over 2,000 years. In China, they r called by the nickname "The Mushrooms of Immortality" due to their extraordinary medicinal properties. According to researchers from the Institute of Vascular Medicine at the Chinese University of Hong Kong, reishi mushrooms can lower blood sugar levels in laboratory animals. 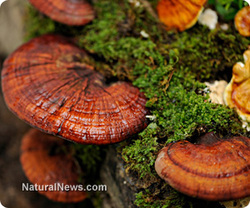 For their study, which was published in the May 2009 edition of Phytomedicine, the researchers fed 0.03 and 0.3g/kg of reishi extracts to diabetic mice over a one-month period. The extracts lowered the blood glucose levels of the mice within a single week, leading the researchers to believe that the mushroom inhibits an enzyme used by the liver to produce glucose. Another Chinese study, which was conducted by researchers at the Department of Pharmacology of Peking University in Beijing and published in the December 2006 issue of the Journal of Asian Natural Products Research, specifically looked into reishi's effects on diabetic kidney disease. After the eight-week trial period, the diabetic subjects exhibited noticeably reduced markers of kidney stress, as well as lowered triglyceride and blood sugar levels. The researchers concluded that reishi mushrooms can prevent or halt the progression of diabetic kidney complications. Important: Unlike most other medicinal mushrooms, which can be eaten cooked, reishi have a tough texture that is difficult for our stomachs to digest. Therefore, if you're interested in utilizing reishi as a medicine, consider consuming it in extract form (like in the studies) for improved nutrient absorption. According to Mayo clinic staff: "Diabetes prevention is as basic as eating more healthy, becoming more physically active and losing a few extra pounds — and it's never too late to start. Making few simple changes in your lifestyle now, may help you avoid the serious health complications of diabetes down the road, such as nerve, kidney and heart damage." TYPE 1: Insulin level becomes low as body immune system destroys the insulin producing cells. CURE: Insulin injections & healthy diet. TYPE 2: Insulin is produced less by pancreas. CURE: medication, exercise plan, & medication. 1. EXERCISE DAILY: helps to lose weight, & lower blood sugar levels. Research shows that combination of aerobic exercises and resistance training can help control diabetes. 2. Eat fibre rich diet: helps to reduce wt by keeping you full, keeps blood sugar in check, & lowers risk of heart diseases. Foods high in fiber are fruits, vegetables, DATES, beans, whole grains, nuts and seeds. 3. Consume whole wheat products: Find pastas, breads/rotis/naan, & cereals that are whole wheat. They help to reduce the risk of diabetes. 4. Lose weight: Obesity/over-weight tends to increase the chances of diabetes. By exercising & following strict, healthy diet one can lose weight. It is seen that loss of at least 5 to 10 percent of initial body weight — and daily exercising reduced the risk of developing diabetes by almost 60 percent over three years. 5. Skip Fad diets & make healthy choices: Mayo clinic staff says, "Low-carb diets, the glycemic index diet or other fad diets may help you lose weight at first, but their effectiveness at preventing diabetes isn't known; also by excluding or strictly limiting a particular food group, you may be giving up essential nutrients. Instead, think variety and portion control as part of an overall healthy-eating plan." If sugar level is below 70, take immediately 15gm of carb food (3-4 glucose tablets, 1/2 cup juice or 1 cup skimmed milk) Check sugar level after 15 min. If its still low, treat with another 15gm carb food. If its high sugar level, drink atleast 8 glasses of water & 45-50 gm of carb food every 4 hrs (1 & 1/2 cup orange/grape juice, canned fruit, 3 toast slice, regular yogurt 1 cup. Test your blood sugar level every 4 hrs. 7. Follow medication properly: Take a list of all medications to your doctor when u visit to avoid complications. 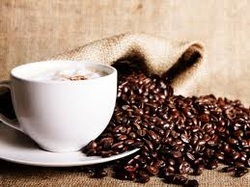 According to Dr Hu, "studies have shown a benefit of coffee on the prevention of diabetes. And now there is also evidence that decaffeinated coffee may have the same benefit as regular coffee,” Of more than 193,000 people, those who said they drank more than 6-7 cups daily were 35% less likely to have type 2 Diabetes than people who drank fewer than two cups daily. 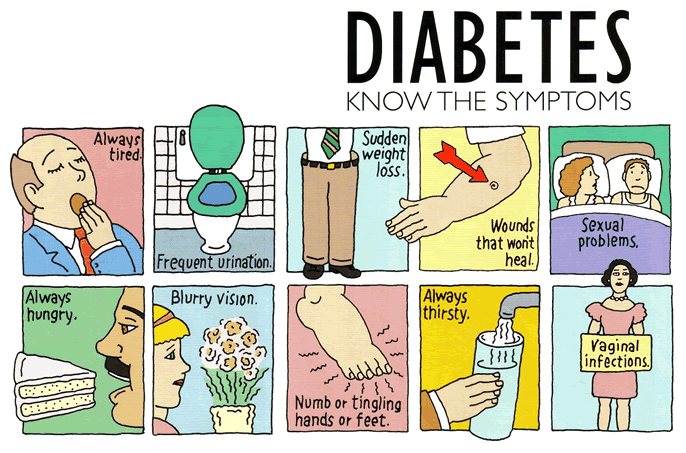 In type 2 diabetes, the body loses its ability to use insulin and regulate blood sugar effectively. “We know that coffee has a very strong antioxidant capacity, Coffee also contains minerals such as magnesium and chromium, which help the body use the hormone insulin, which controls blood sugar (glucose). Based on studies on decaf drinkers, “I think we can safely say that the benefits are not likely to be due to caffeine," doctor Hu says. Testing blood sugar level is very important. It provides the info needed to balance your diet, exercise plan, & medication. If you have TYPE 1 diabetes, & your sugar level is higher than 240, test for ketones at every meal. 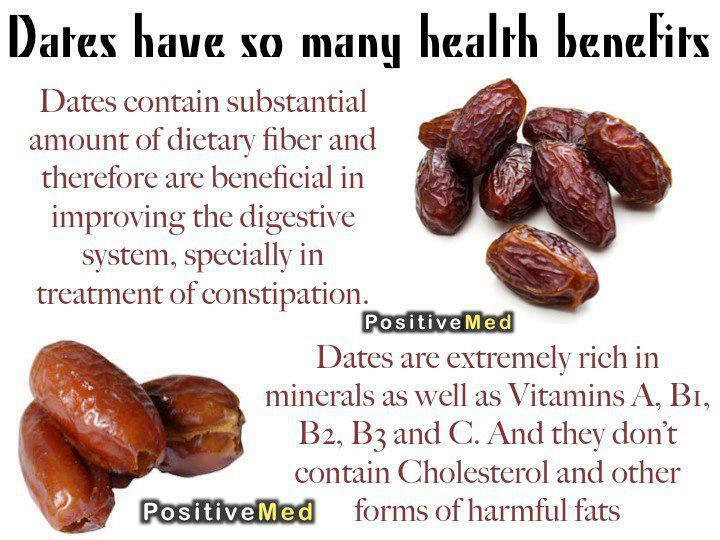 DATES are also good for diabetic patients as they are rich in fiber but due to sugar content, they must be limited to 2-3 a day. Friends, if you have any foods good for diabetes patients, please add in the comments. Reishi mushrooms called "The Mushrooms of Immortality" due to their extraordinary medicinal properties. Mani Tripathi says, " A very good and effective home remedy for diabetes is eating a paste of 9 bail /bel patra leaves (found in India,) and 9 tulsi leaves every morning.I tried it and within 15 days my sugar was below normal.